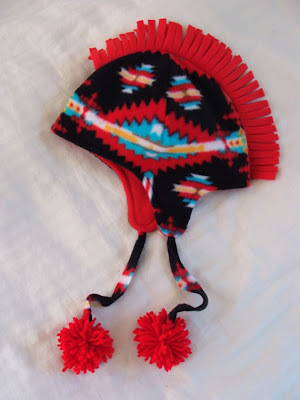 I was first drawn to the cool Mohawk hats and baby buntings made by Faith Charlo when I was putting together the Etsy Holiday Gift Guide at the end of last November. The fun kiddie gear is sold through her small business, Powwow Baby. Charlo is Wampanoag, from Massachusetts, but she grew up on the Flathead Indian Reservation in Montana. She shared with me a bit more about the story and inspiration behind her work. When and why did you start making clothing? I have loved art and sewing since I was a child. My dad was an artist and an art teacher while I was growing up, and my mom used to make clothes for my siblings and I when I was real young, so I have creativity in my genes from both sides of my family. I started my business in 2009 as a side job. I made a bunting for a friend that had a baby, and it was a big hit, so I made more. My friends encouraged me to go into business, and Powwow Baby was born! The pieces I make are a blend of traditional and contemporary. I love to see Native designs featured in everyday items that show our culture is alive and relevant in today's world. My mind is always going. I see something and wonder how I could give it a Native twist. I love to see people get excited about my products, to see a piece of clothing that reflects their world, something they don't usually see in stores. My inspirations are all the kids in my life. I always wanted to make my daughter a bunting after I saw one that a friend had for her child. Unfortunately, I never got around to it until she was 13 years old! But I'm glad the idea stuck in my head all those years. 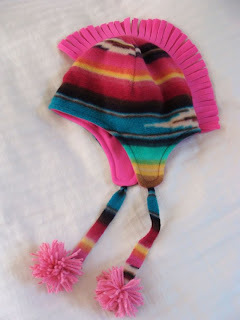 The mohawk hats I make were inspired by my little nephews, who rocked the hairstyle to their first day of kindergarten. Powwow Baby Fleece Buntings (above left) feature built-in mittens, easy-on zipped front, tasseled hoods, shell or nickel buttons, and a slit for carseat and stroller belts. Powwow Baby buntings are available in a variety of sizes, and in various Native and contemporary print fleece fabric. Powwow Baby Mohawk Hats (above right) are made to keep your young ones warm (and cool) with two layers of fleece in sizes for all kids (babies through teens). They come in a variety of Native and contemporary print fleece fabric, and are machine washable. 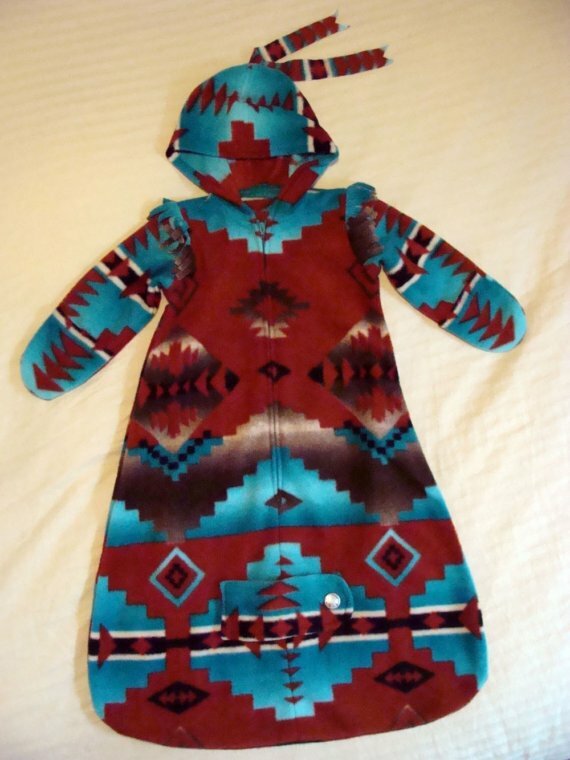 Click here to visit the Powwow Baby store on Etsy.